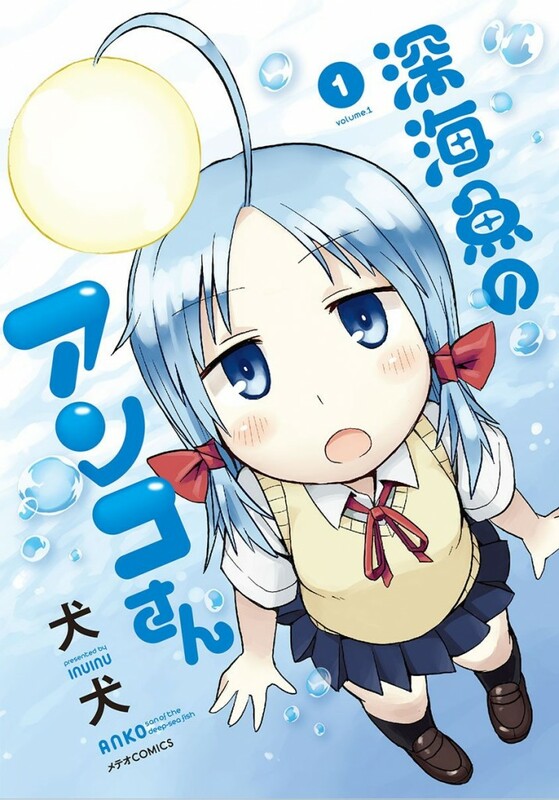 This was a really funny, laugh out loud manga about girls who are mermaids, but unlike normal mermaids each have a tail fitting for what kind of fish they are. You will have deep-sea fish, you will have pufferfish, all sorts will pass by and it is just a delight to see how these girls are so human that you at times forget they are also fish. Well, for most, as they will still have some stuff that clearly shows they are fish (like their fins under their hair), or in case of one character a light on a tentacle. 😛 These girls take medicine so they can stay with legs for most of the day. Though they can apparently also change their tail to legs and the other way around by themselves. These girls are also just like normal girls. They worry about their weight, about how they look, but unlike normal girls these girls also worry about their tails. Are they too big? Too ugly? Do they fit perfectly? I really like that this was added as it made the fish thing even more interesting. We have one character who is a human (at least from what I can see, she doesn’t have fins or anything fishy going on), but she is the one who just drools over everything that is mermaid. She in particular has one girl she just can’t stop watching. 😛 I did like that we have humans working/living/going to school with mermaids, it is an interesting idea, and I wouldn’t mind going to school with mermaids as well. There were 2 characters that I didn’t like that much, mostly because of how they acted. Luckily they do get a bit better near the end of the volume so I definitely don’t mind them too much. I always love it when characters who are bleh at first get enough character development that you will like them at the end. There are lots of fish references, facts about fish, and much more. I love that this is added, as it also gave more insight in how the character’s personalities worked. The art is also really good, I really liked how everything is drawn. All in all, I will be continuing this manga, and I would highly recommend it.